It's that time again...time for some mini reviews! All books featured for this segment are ones that I have read in the last few weeks. I hope you enjoy. What books have you read recently that you have loved? After hearing a lot about this book around social media due to the TV Series coming out I decided to give A Discovery of Witches a read after finding it on the kindle store for £1.99 bargain! Yes, this was about vampires and witches but it was totally different the other books I'd read featuring those creatures. One - it wasn't YA and two - the plot was alluring and pulled me right in. Yes, the story is a slow burner and the some could say the first part of the book is slow to start, but it was necessary in order for us to find out the backstory to this very complex world. The second part however is very fast-paced and you don't want to stop reading. The ending itself had me dying to read the sequel (which I will be starting soon!). Oh and yes, I have started watching the TV Series and I am in LOVE with Matthew Clairmont..I think it's becoming an obsession. I went into No Fixed Address not knowing much about it, but ended up devouring it in two sittings. It’s a heart-wrenching, cute, wonderful read that had me smiling but also sobbing at times. You could say it’s the Canadian version of Slumdog Millionaire . This book focuses on issues that you don’t see enough of in YA, especially with regards to ‘hidden’ homelessness. Felix and his mum, Astrid, are living in a van and over the course of the story we get to find out the reasons behind this – some of which are quite shocking. Nielsen really brings home the reality of Felix’s situation, not just being ‘between homes’ but also the relationship between him and his mother, which becomes slightly strained over time. You can’t help but love Felix straight away. Despite having his own problems, he is very compassionate towards others and looks out for his friends and his mum first. His relationship with friends Dylan and Winnie is just heartwarming and I loved them as a trio. 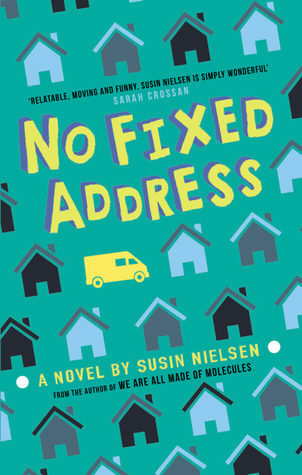 No Fixed Address is an excellent story about ‘hidden’ homelessness, friendship, family and finally getting the luck you deserve, and one that will stick with me for a very long time. 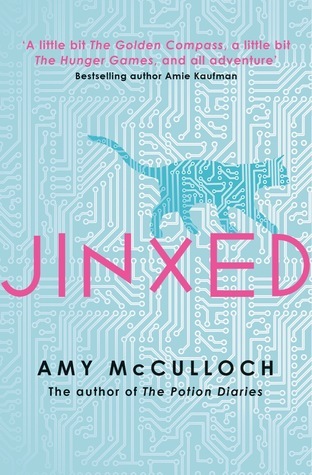 If you love futuristic stories with strong young women at the forefront then Jinxed is the book for you. I went into this book not knowing much, but, as you will discover I was amazed. From the first page I was sucked into this futuristic world where ‘bakus’ – customisable smart pets are the ‘big thing’. The whole concept of the Bakus intrigued me, especially how attached the characters in the book got to their own. It made me think about the future of technology in the real world. Could we get to this stage one day? The plot was quick and easy to follow with many twists and turns. There were times when I was gobsmacked at what had been revealed and this in turn made me want to read on. I was so invested in this world and story that I literally could not put the book down. Lacey as a character was a joy to read. I adored her ambition to become the best companioneer she could be. It’s also fantastic to see a female character in YA become so invested in STEM. I could certainly see her inspiring many young women to go forward and achieve their dreams in that field. Jinxed was an addictive, fast-paced, exciting read that brings women in STEM to the forefront. I cannot wait for the sequel. I'm so glad you enjoyed Jinxed, I absolutely loved it when I read it earlier this year. Jinxed was incredible and I am so excited for the sequel! 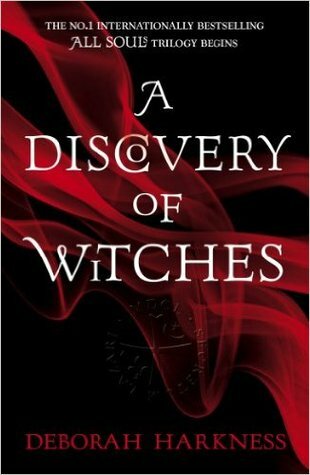 I started A Discovery of Witches years ago, I didn't get that far in before I put it down because I found it a bit slow but I've always heard great things about it and it seems like exactly my type of book (I love Paranormal books) so I keep meaning to go back to it sometime. I'm glad you liked it!